Below you can view all the homes for sale in the The Village At Rolesville subdivision located in Rolesville North Carolina. 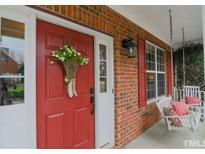 Listings in The Village At Rolesville are updated daily from data we receive from the Raleigh multiple listing service. To learn more about any of these homes or to receive custom notifications when a new property is listed for sale in The Village At Rolesville, give us a call at 919-759-5754. Upgraded features include new carpeting and fresh interior paint. MLS#2248808. 4823. 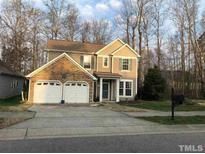 This Rolesville two-story corner home offers a front porch, fireplace, hardwood flooring, stainless steel appliances, master bathroom with separate tub and shower, loft with built-in shelving, screen-enclosed covered patio, and two-car garage. MLS#2248809. 4823. Seller paid 1 yr warranty included. MLS#2244762. 297. Very nice home that shows well! MLS#2246586. 1709. The closet in the master is huge with additional storage in the walk-up unfinished 3rd floor attic. Come and see for yourself MLS#2244928. 3740. Yard backs to natural wooded area! MLS#2244496. 5191. Enjoy the View Of the Nice Sized Yard Form the Screened In Porch that you will Never Want to Leave! Many Additional Upgrades! Welcome Home! MLS#2243403. 5203. Awesome floor plan and fenced yard! 3 bedrooms plus loft! MLS#2238654. 4276. Neighborhood has pool, tennis and playground. MLS#2237120. 636. 200 sq feet of unfinished attic provides expansion possibilities. MLS#2235791. 1818.